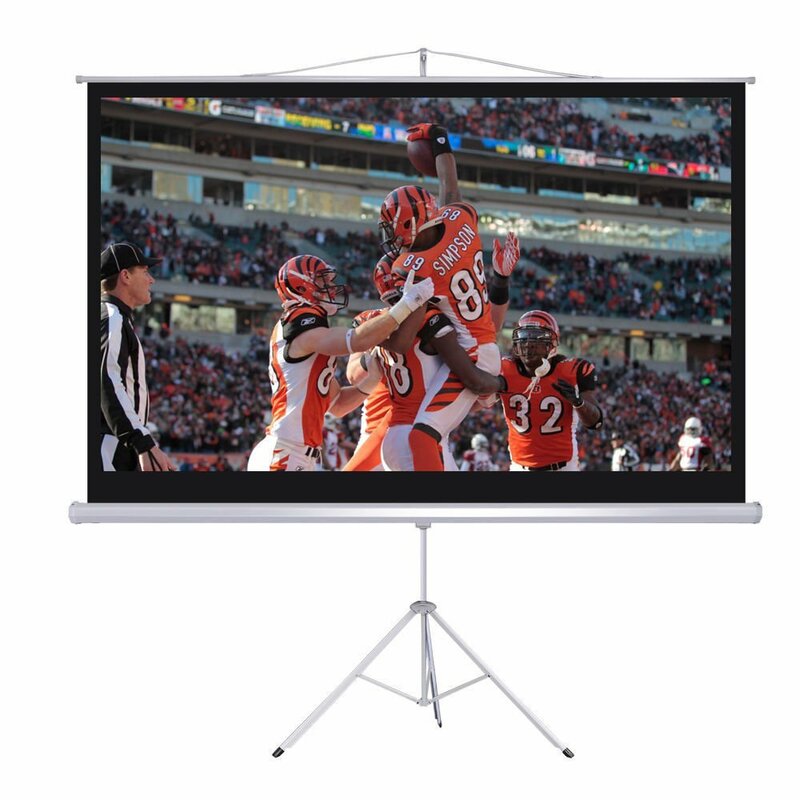 When space is a concern, this small projection screen rental is the solution. It will fit in small rooms and will provide enough space for comfortable viewing for a group of up to 30-40 people. It can be easily set up and adjusted to different aspect ratios to fit your needs. The perfect choice when space is limited for the projection screen. Plenty of space with the 85″ viewable area. It is all self-contained and sits on its own tripod. It will fit in most cars without needing to fold the back seat. The perfect rental choice for groups of up to 40 people. If you are looking for something larger, see our medium rental projection screen or go big.